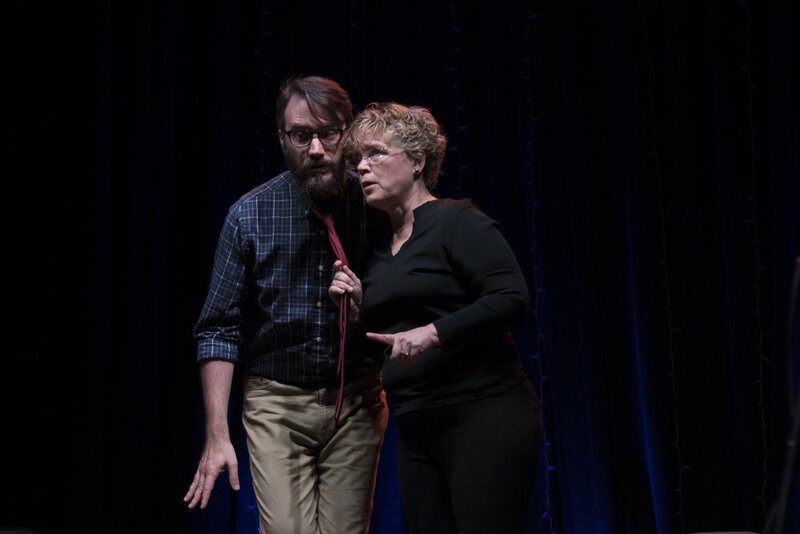 Students have been chomping at the bit to perform with the "Improv Jedi", Jonathan Ulrich. Now these padawans (and a quite a few masters) get their chance to prove their metal against the big dog. Jon faces a line of improvisers who are pre-loaded with characters suggested by the audience. Will he withstand the onslaught of entertainment? Or will he lie curled in a corner like Conor McGregor? Place your bets! Act One is simply the best indie duo in town. Matthew Jent and Tracy Connor give a master class on how to improvise in a way that is brimming with quality acting, emotional texture, and delightful characters. Don't miss the opening night (and closing night) of a phenomenal improvised one act play. Crafty Beast is Improv Cincinnati's first house team. Peter Boylan, Cait Riley, Jonathan Calig, John Cadman, and Sydney Vollmer bring their whole heart to bold characters, fun stories, and clever improv.